So you guys know how much I love It Cosmetics Bye Bye Undereyes Concealer, I’m seriously obsessed with it. Other than that one product, that was the only thing that I have ever tried from It Cosmetics which is a makeup line created by Jamie Kern, a former TV news anchor, Miss Washington USA, and a contestant on the reality show Big Brother. She launched the line in 2008 and it is available through QVC, Beauty.com, Beauty 360, itcosmetics.com and The Shopping Channel in Canada. 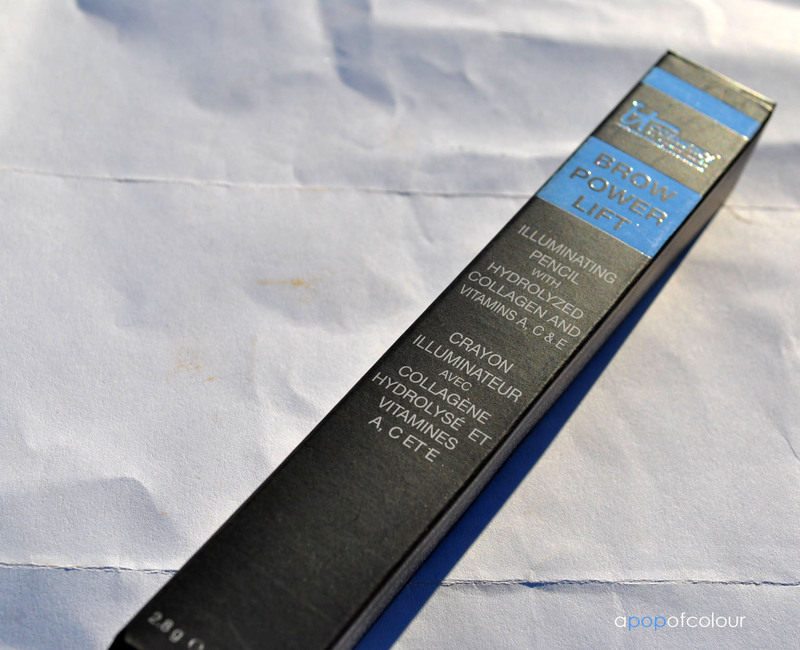 A couple of weeks ago the company sent me one of their new products, the Brow Power Lift double ended pencil. Now I love me a good highlighter, I use it underneath my eyebrows, on the inside corner of my eyes, anywhere really that needs some brightening up. This product is a highlighter but contains hydrolyzed collagen and Vitamins A, C & E. Because of these power ingredients, the product lifts the look of brows, opens up and brightens eyes, plus lifts and illuminates features instantly. Whenever you have stubborn wrinkles, such as 11 lines or marionette lines, just line the deepest inset of the wrinkle and it instantly looks pulled out, as if you just got a cosmetic filler injection! The high performance illuminating pigments last all day, plus the anti-aging benefits work simultaneously for younger looking, lifted features! The product is also talc-free and infused with ultra-hydrating age reverse and prevent technology. Plus it is paraben-free, fragrance-free, non-comedogenic, and hypo-allernegic. I myself don’t have wrinkles yet so I can’t tell you if the product actually does what it claims in terms of making wrinkles disappear, but I can tell you if it is a good highlighter/illuminator. 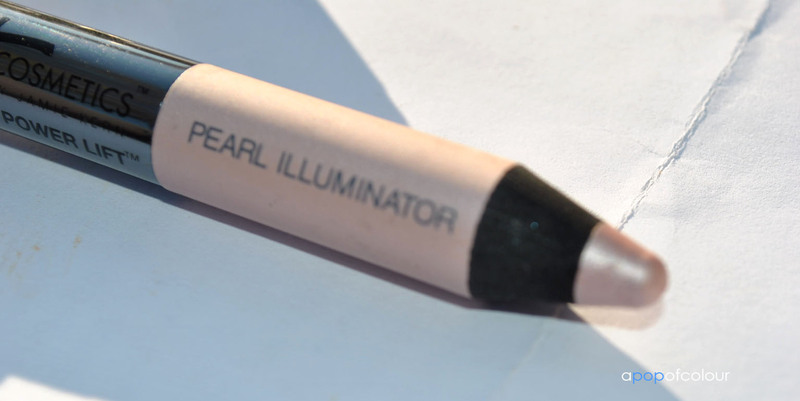 The pencil (which comes with a handy sharpener) is dual ended, with one end being a pearl highlighter and the other end being matte. 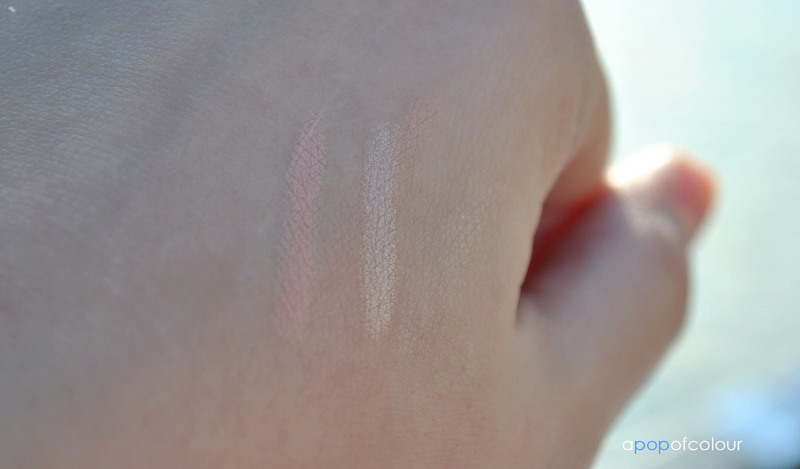 Up until this blog post I only really ever used the pearl side and I have to say I love it, it does a great job on highlighting your brows and the handy pencil makes the application flawless. For the sake of this blog post I tried out both sides and followed the instructions on how to use it. According to the press release, for a more lifted brow use either the matte or pearl side and trace along the entire length of your brow, both above and below the brow hair from the start of your brow to the end or tail. Once applied, lightly blend and pat in the illuminator with your fingers along the entire area 1/4 inch above and below your eyebrows. 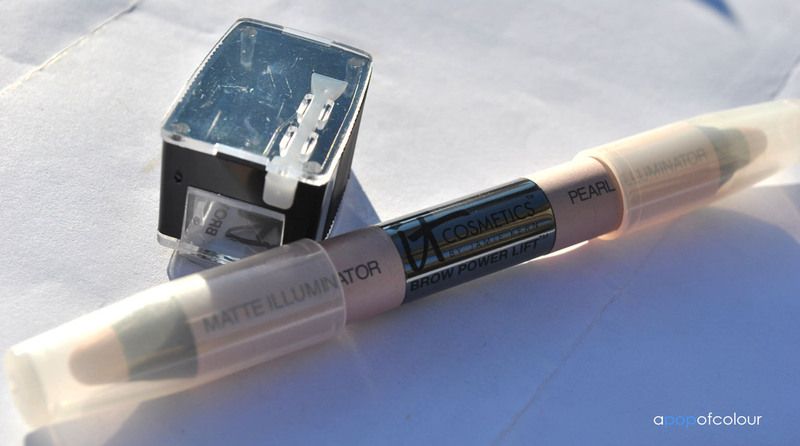 The illuminator is natural looking, soft, and invisible to the eye, but attracts light to the area both above and below your eyebrows, creating a more lifted, youthful look. This picture is before I applied the product. For the sake of this post I used the pearl side on one brow and the matte side on the other. As you can see in my “after” shot, my eyebrows do look more noticeable, I don’t know if they are necessarily “lifted” but they are definitely highlighted. As I said before I couldn’t really tell you if it diminishes the appearance of wrinkles because I don’t have any yet. So would I recommend this product? Yes, but I don’t think it’s necessary. I really love the pearl side as a highlighter and the matte side can double as an under-brow concealer. If you are looking for a great highlighter or if you have wrinkles, I would recommend trying it. The product also feels like butter on your skin and you don’t have to press hard for the product to apply. It Cosmetics Brow Power Lift retails for $24 CDN on The Shopping Channel. Have you tried It Cosmetics Brow Power Lift? What were your thoughts?